Commissioners increasingly view the interventions positively and are working with us across the UK to embed them locally – resulting in improved outcomes and performance in service delivery. 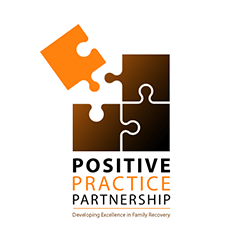 CRI, Lifeline, AD Solutions, Turning Point and PROPS North East are among the services whose staff we have trained in CRAFT (working with families impacted by substance misuse) or CRA and ACRA (working directly with adult and adolescent substance misusers). We deliver in-house programmes to services as well as multi-service programmes to smaller groups at venues in Newcastle, Manchester and London. Our trainers and accreditors are academically verified and supported by Dr Robert Meyers, Research Associate Professor Emeritus in Psychology at the US Centre on Alcoholism, Substance Use and Addictions (CASAA) and developer and researcher of CRA. He is patron of Positive Practice, the only training body he has authorised in the UK to offer the programme. With CRAFT (Community Reinforcement and Family Training), for example, US evidence shows that almost 70 per cent of substance misusers supported by families employing these skills will enter – and stay in – treatment six to seven times longer than people not supported.